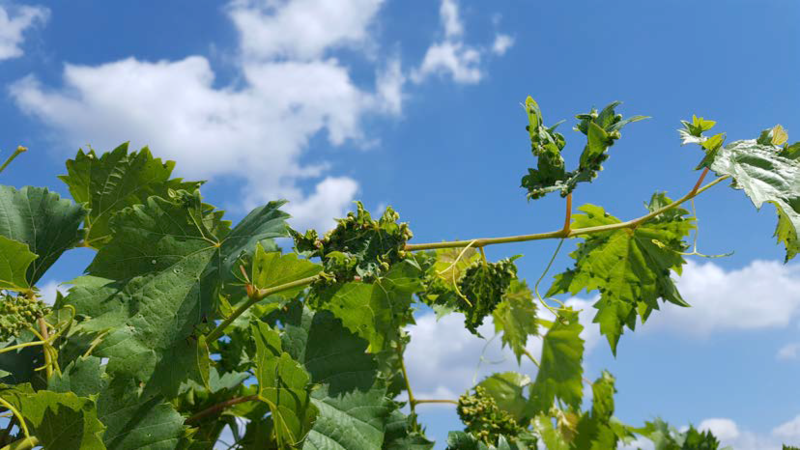 During the first week of November a grower sent in photos of grape phylloxera galls on leaves, and asked that this subject be discussed at the November OCPVA meeting. 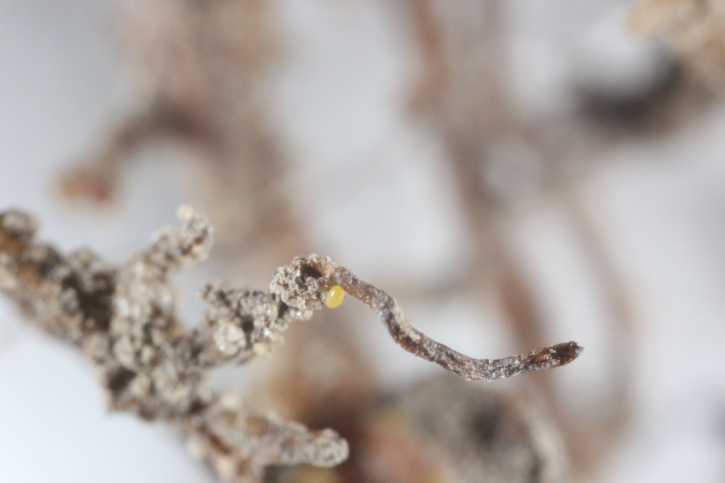 I examined the plants on November 14 just prior to the meeting, and found numerous phylloxera nymphs on the roots. The vineyard is a hybrid variety (Chambourcin) on its own roots. 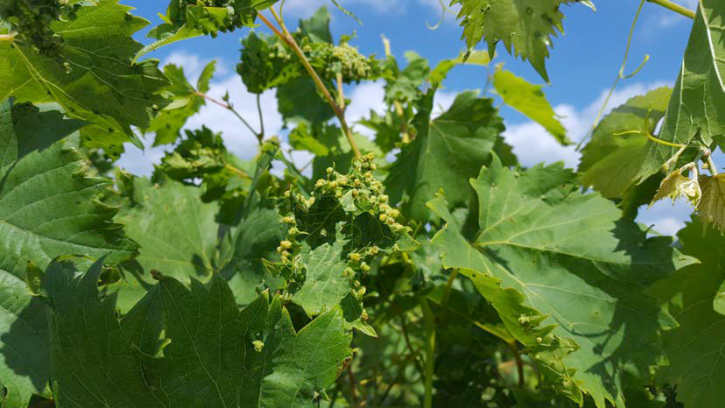 Any V. vinifera or hybrid stock with vinifera in it, is susceptible to phylloxera injury, and can be at risk to root and/or plant decline due to phylloxera establishment. 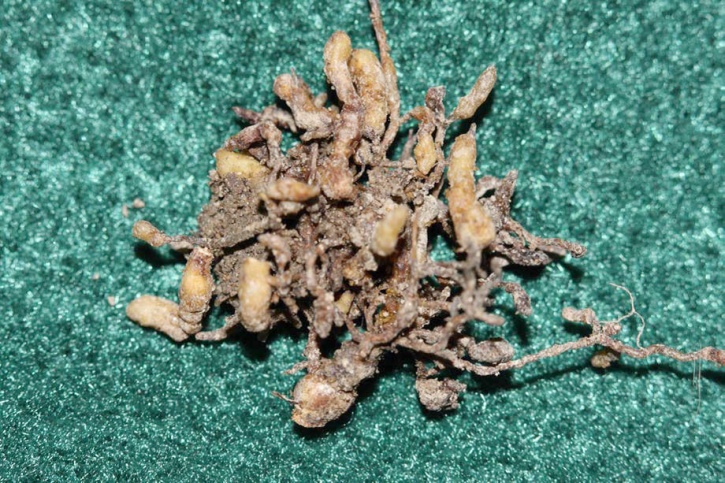 The following is a brief photographic accounting of what was found from the infested roots. The decline in these roots is evident in the photos, and illustrates the potential for serious damage in NJ vineyards from this pest. Phylloxera is one of the most destructive grape pests worldwide. 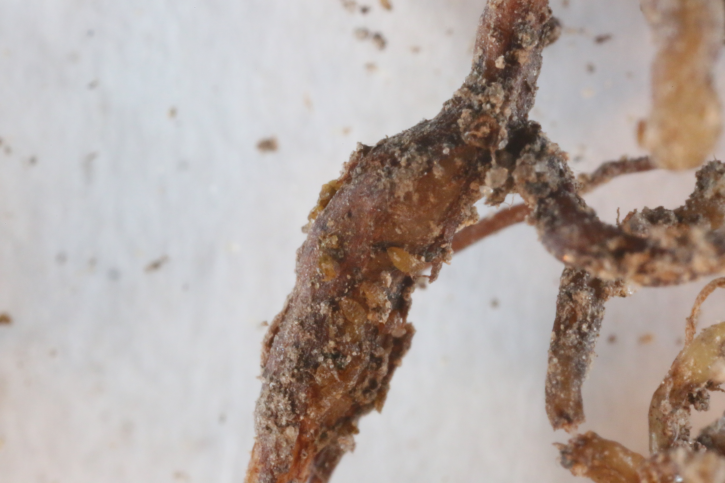 This small aphid-like insect has a complex life cycle that involves survival on the roots throughout the year, and on the leaves during the growing season. 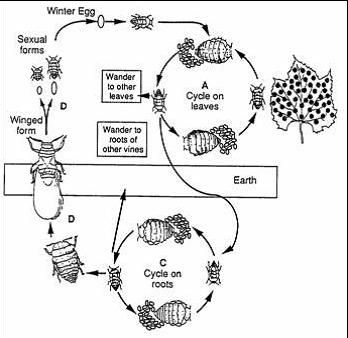 The sequence of events in the life cycle is different for the foliar and root forms of this insect. 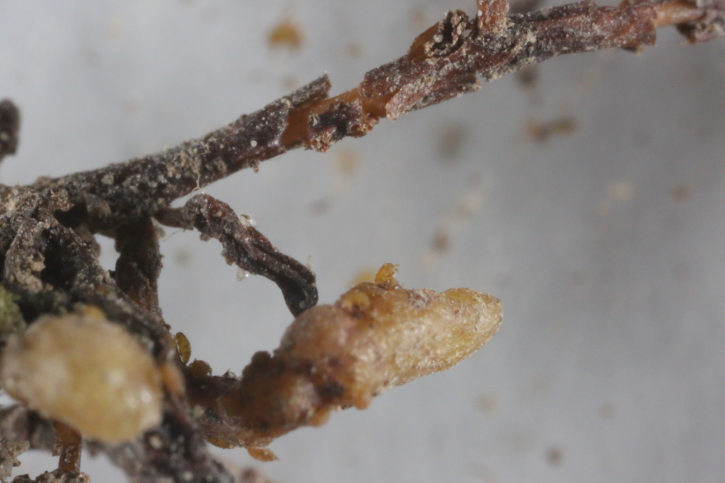 The foliar form survives the winter as an egg under the bark of the grapevine. 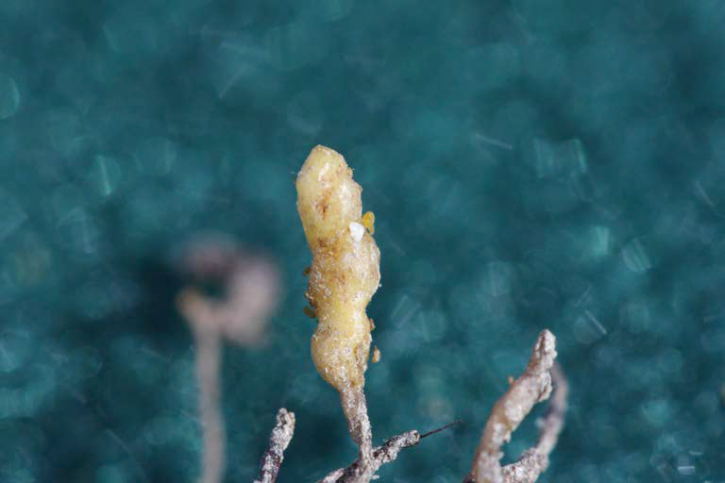 Asexual, wingless forms hatch in the spring and crawl onto the new leaves, where they develop galls. Young crawlers settle on the upper surface of immature leaves, causing galls to form on the under surface of the leaves. The only opening in a gall is to the upper leaf surface. Once mature, the female begins to lay eggs within a gall. Nymphs hatching from these eggs crawl to new leaves at shoot tips, settle on the leaves, and form new galls.